Okay it's officially June - so my last chance the report on the May harvest. May marked the last (belated) month of the summer harvest. It was out with the old and in with the new. I have harvested the last of the tomatoes and eggplants. 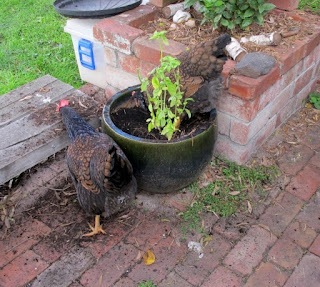 The beans and capsicums are also down to the last trickle. 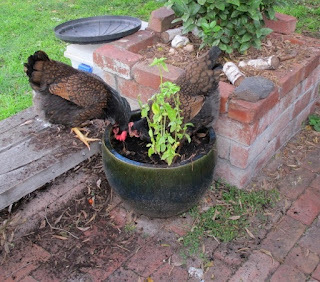 In their place there are snow peas, Chinese veg and brocolleti (or Italian rapini- not to be confused with brocolini as I suspect most people like myself, who picked up a punnet from Bunnings did). This time for the first year I have also grown cabbages (savoy and purple) and Tuscan kale (Cavolo Nero) on mass. With the last of the red chili and a second flush of green chillies I have been busy making up pots of red and green harissa, along with a pot of pesto from the last of the basil. olive to coat and cover as above. 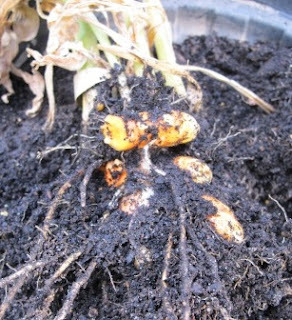 A few weekends ago I also dug up some pots of galangal and turmeric- unfortunately while the turmeric has already proven itself the galangal was a little odd and not what I was expecting at all! Actually I am not surprised..... this year my friend went back to the stand at the Melbourne Flower and Garden Show where we got these. She wanted some replacement galangal having moved house and losing track of the original. The guy mentioned the plant marked 'galangal' was a different type to 'normal' galangal which was sold out.. It looked suspiciously like mine. A quick google search linked through to wikipedia and could it be this? Neil Perry lamb and sweet potato curry sans galangal. Your turmeric looks great - most of mine's still in its pots but the leaves are starting to yellow quite a bit so I think I'm nearly the point of digging it all up. 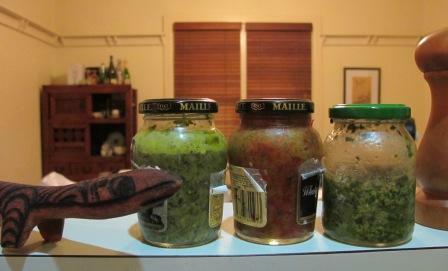 Love the green harissa recipe - I have quite a lot of green chillies on the plants at the moment so its perfectly timed. Hi Liz, I think I could have let mine go a little longer to see if the tubers grew even more. 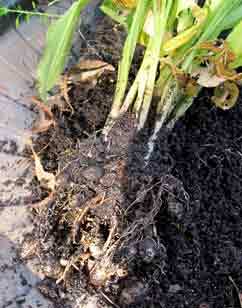 Once I disturbed the plant it certainly died off completely! oh well all part of the experiment- which is half the fun!